Sengmany Yathotou is on a mission. It’s a weekday morning in Naxayneua village, Vientiane, and on her family farm that borders on a national park, she is overseeing the milking of more than 100 cattle – peaceful, black-and-white Fresian dairy cows that produce around 15 litres of milk each a day. Sengmany wants more people in Laos to drink the milk they produce – pasteurised, free from preservatives and marketed under the brand name Crysta (soon to be changed to Nomsod Lao), from Vientiane’s only dairy farm to local cafes and mini-marts. But Sengmany is the first to admit that the family business still has a way to go in convincing Lao people – from ordinary consumers to food manufacturers and government officials – of the benefits of drinking milk and eating dairy products. Just four years ago, Sengmany’s farm-loving parents – her now-retired father was once Deputy Minister for Agriculture – were breeding a small herd of dairy cows “for fun” on their 10-hectare farm on the outskirts of Vientiane Capital. The cows produced enough milk for the family’s own consumption, and t share with friends, neighbours and relatives. So far, so eccentric for a well-respected family in a non-dairy-consuming society. As it happened, the milk coming out of the farm was actually quite good. The friends and neighbours began asking for more, wondering aloud why the family didn’t consider selling the farm’s produce. And so, in 2014, Sengmany launched Crysta – named after her young daughter. Crysta Milk stands out from other brands in supermarket fridges because it’s the only one produced in Laos, but is of the same quality as its imported neighbours on the shelf. 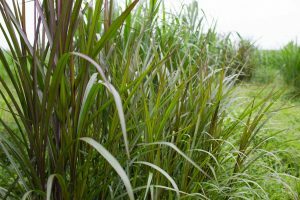 The farm is equipped with cutting-edge modern technology, and the cows – from a strain originally from Australia – are fed a strict diet of African Napier grass and corn grown on the land, to ensure a clean and regular yield. The Lao Dairy Farm employees dozens of staff from the local area, and a dairy consultant from Thailand whose passion for the industry dates back to the 1960s, when he studied dairy production in Denmark. He has been helping the Lao Dairy Farm with its burgeoning business since the beginning, and says while consumers have been somewhat slow on the uptake of dairy consumption, he has hope the market will take off once smallholder farmers begin breeding the Fresian cows to milk as a source of income. 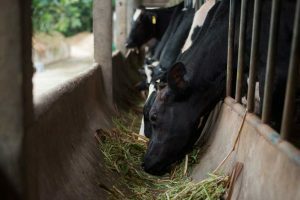 He said the farm had a challenging but successful process of artificial insemination of cows to breed certain strains into existing cattle herds, but that local governments were yet to latch onto the potential for poverty reduction such farms could have. “In the beginning, it was the same story [in neighboring countries], the same thing as here,” he says. But for Sengmany, the main challenge lies in changing consumer habits; many local minimarts don’t maintain the correct refrigerator temperatures for the preservative-free milk that lasts just seven days. And then, when Lao people do choose to drink milk, they tend to buy the established brands from neighboring countries. “Lao people trust and believe foreign milk is the best quality, but they don’t know about dairy and the good things about pasteurised milk, or the difference between fresh milk and UHT,” she says. But for the moment, while the brand’s growth in the market has been quicker than Sengmany expected, Crysta is sticking to a select range of products – milk, yogurt and drinking yoghurt. Its most recent innovation was to add passionfruit to the drinking yoghurt, which turned out to be the right move – sales rose by 10 per cent straight away. Sengmany has also set up a café on the first floor of Lao-ITECC in Vientiane, selling smoothies and other milk drinks. Crysta is now being sold in several other provinces, including Luang Prabang and Attapeu, but Sengmany has no plans yet to try exporting the farm’s products. 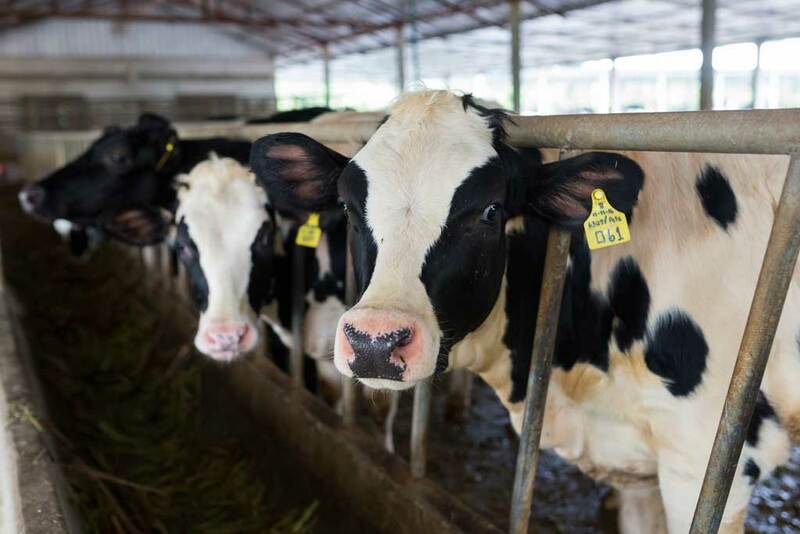 Nor does she have any intention of adding preservatives to Crysta Milk to stretch out its shelf life, even if this might give it a better chance against its competitors, as the farm is committed to its all-natural product. Sengmany has just one message for all potential dairy consumers in Laos – think local and buy Lao milk. You might just develop a taste for it, and there will always be more coming from the Lao Dairy Farm.